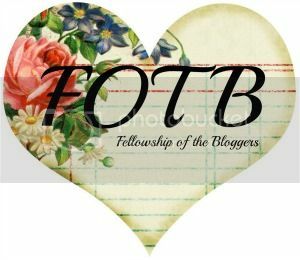 Fellowship of the Bloggers: Have a dozen red roses, every Valentines day! Have a dozen red roses, every Valentines day! Its every girls dream to get a dozen red roses on Valentines day. Maybe I'm a little broken, or quirky, but when I asked Mike to buy me a dozen red roses, and he came back with two rose bushes? I was thrilled and really up for the challenge! I've never planted roses before, and I'm doing this as a "new" gardener - but here is how I'll have a dozen roses each and every Valentines day! Firstly, I got roses in containers. This makes a difference, according to the Royal Horticultural Society you can plant these all year round. I went with this and transferred my roses which were in a small plastic container to the larger planters I started preparing last year. Now, by preparing, I mean filling with some pebbles, then some soil, and topping with compost. And then putting poop on it and "turning the soil over" with my garden fork. Not romantic, I know, but as a pug owner and as it was recommended to me by much wiser gardeners than I.. It happened. So, once you have a nicely prepared container (compost and er, fertiliser are my preferred methods) then you can start the process. Look at your rose plant. Then, dig a hole that it will fit in comfortably (make sure you leave a little room for some more compost and fertiliser around the plant once its in). After that, you need to un-pot the plant from its current home (be careful, roses most definitely do have thorns!) and gently break up some of the "lump" of roots very gently with your fingers. Once you have teased away some of the roots so they dangle from the main mass, gently put your plant into the soil and make sure that the main stem of the plant is level with the top of the soil. Surround the plant in compost, and gently fill in the rest of the hole you made with the soil you've dug out to make the hole, before watering lightly. As an after care I use rose food on my roses, and if the weather was a little better I'd go out and take a picture - but they were planted at the beginning of the month and I can't wait to really tend them! If you've got experience with roses, please feel free to share it with me! I love the idea of getting a garden sorted this year. I think you've inspired me to get some plants I really love instead of border fillers. Roses look great in any garden, and well worth the effort.